One thing we all agree on is that Chinese cuisine is popular across the globe. Most people are aware of the famous chow Mein, Szechuan chicken, sweet and sour pork just to mention a few. What they don’t realize is that that’s just a piece of the pie. Chinese cuisine entails a vast of delicious nutritious and authentic meals some of which you will not find even in the Chinese restaurants outside of China. If you enjoy the cuisine you have more to see in the article especially if you enjoy cooking. Remember there’s more to Chinese cooking than just tossing the wok. With this book, you have a summary of chef Eileen’s years of experience cooking. You get lessons that you will use to build your home cooking skills and knowledge. Through the step by step procedures, you develop confidence in your culinary skills. The chef uses the cooking technique, ingredients and equipment used in Chinese cooking to enlighten you on the same topic. I don’t know of any other book that will make the magnificence of Chinese cooking accessible to you. The book contains 100 classic and unique recipes for you to try and don’t even worry about the process because the chef uses clear illustrations to make it easy to do. Using photography, the book further gives you a taste of China without you necessarily visiting China. You will see the zigzagging alleys of the city of Guangzhou, the big cities and far away towns. Moreover, you have photographs of the delectable ingredients and Chinese meals. Everything is done in a step by step manner and it is surely your book of choice. We all like reading books from legendaries, right? Ken is one famous chef that you must have seen on your television because he hosts 5 cooking tv shows that are enjoyed by most in the west. He is the link between the authentic Chinese cuisine and the diversified westerners. He has served the great leaders and royalties of the west with the delicious and rich Chinese cuisine. Ken has a way with words as he is not only a chef and a tv host but also a teacher. With the experience on the three ends of his world, he comes about with a great and easy to understand the book. He doesn’t just ambush you with words rather he introduces you to the Chinese cooking and its history. He further highlights the most important equipment to use in cooking as well as the ingredients and the cooking techniques. For him, Chinese cooking is an art that you will enjoy being a part of. He organizes the recipes by the food type making it easy to follow especially when you are green in the field of Chinese cooking. In summary, contrary to most beliefs, Chef Hom tells us that Chinese cooking is low in fat and heavy on fresh vegetables. Do you want to know how? Buy yourself a copy of Ken’s complete Chinese cookbook. Is it only American’s or other parts of the western world that have a love affair with the cuisine? The Chinese meal’s introduction to the western world dates to centuries ago. No wonder, today, just the same way hamburger is popular in America so are the fried rice, egg rolls, sweet and sour pork among other Chinese delicacies. I’m sure you won’t miss some of the must-have Chinese ingredients like soy sauce in your house either. You use them to prepare different other meals. Let’s just say on a light note that, the cuisine is slowly evading your kitchen. You don’t always have to go to your favorite Chinese restaurant for the different meals, you can make them at home with the cookbook. The long-time food blogger and the cooking instructor will bring the different China town meals to your home table. It features more than 80 recipes that are easy to prepare. Being a blogger, she finds ways to make it easy to cook by highlighting the essential pointers on the sidebars. You also get to understand the history of your favorite meals. With this book, regardless of where you are, you can make a delicious Chinese meal. The book is literary meant to feature the land of plenty-Szechuan. Szechuan province features a land that with a lot of food, unique spicy and hot cuisine. An example of Sichuan meals is the famous Kung Pao chicken. But are you aware that Kung Pao is just one of the many Szechuan dishes? It’s also popular in the world but, mostly cooked in the big restaurants by big chefs. Szechuan cuisine is a legend in Chinese cuisine which means it has almost 5000 different dishes. Say what? Fuchsia loved this cuisine the moment she set foot in the province years ago. And she further began to study the food as the only foreigner in the famous cooking school-Sichuan institute of higher cuisine. She would later deliver a book to the likes of those who love it. The land of plenty book brings Szechuan cuisine to your home. It gives you colorful images of the province and stories of Sichuan. Whether you are a beginner in this field or a novice cook, you will find this book interesting. You get the 56-cooking method of the Szechuanese, 23 combinations of flavors and your 16 colored pictures of finished Sichuan meals. What more would you need than such clear description? We can all order the Chinese takeout because it’s the shortcut to the hustle of preparing these meals especially when you don’t know how o cook them. However, you must be willing to compromise on some aspects of the meals, they may not be as healthy as they would have been if you prepared them at home. While most people are reluctant to take the task of making the meals themselves at home, all you need is a wok and this detailed book to make your delicious stir-fries. The major aim of this book is for you to master the wok and how it works. It goes without saying that when you master the art of wok cooking you can cook all the major Chinese delicacies that you normally go for in the restaurants. To make it a healthy meal you will discover that you don’t need the extra salt, MSG and oil. The book gives you the tips for selecting, cleaning and even caring for your wok to increase its shelf life. With its 95 free recipes, you learn what you can prepare when you are in a hurry, how to fold your dumplings among others. You no longer have an excuse to wait for your Chinese friend to teach you how to use the wok. Just start cooking today with this book. For me, the way to describe wok cooking is that it’s a form of high heat cooking with the wok flying above flames. It features the Asian style of cooking that is based on Thailand, Chinese Indian, Vietnamese and other Asian countries. I don’t know of any other quickest method of cooking in the world than the wok cooking. A major feature of wok cooking is its intense heat which makes your food cook faster while retaining the flavors. Remember, professionals best use high flame cooking because you risk causing accidents in your kitchen. Therefore, you must confirm your safety before you begin cooking on high heat. It’s for this reason that this book comes in handy. You have a lot to learn. The book has you covered even if you are not from China. It has the all the different wok cooking recipes made easy to cook with all the available ingredients. The aim is to make sure you can cook the food and that the western audience understands the process. We all love healthy cooking and Ferrara works towards showing you some healthy recipes. The cuisine is one of the favorite meals that Americans love. It’s like a comfort meal that is readily accessible in various Chinese restaurants. However, Ferrara noticed that a whole load of other people are resistant to the cuisine owing to the ingredients used in its preparation. Therefore, she comes up with recipes that blend the sweet spices with other rich ingredients that will limit the salt sugar and excess fat. For many years, Ferrara has sorted to recreate the meals that were originally made by her mom and grandmother back at home. This is because what she found in America wasn’t exactly what she was used to growing up at home. She uses her technical know how to bring you the healthy meals that are rich and full of flavors. Whether you intend to stir-fry or steam, these 85 dishes will give you healthy and tasty meals. You can have the healthy restaurant-style meals with this book but in their healthier options. The book is written by a teacher who is also the founder of the school of wok called Jeremy Pang. He doesn’t mince his words, his aim is to remind you how it was cooked the traditional way. If all you want is to try the authentic Chinese cooking, try this book. The book contains 6 chapters that highlight the essential techniques to apply in cooking the meals. It focuses on the delicious yet simple meals to cook. He comes up with a technique that you may use even at home called the wok clock. The wok clock is the method that involves arranging your ingredients to cook before you begin the cooking process. Since the wok cooking specifically is a fast cooking method, you need to place your ingredients ready for use. The stir-frying process of cooking is inventive, refined and adaptable. It’s the process where the little food you have will serve a vast majority. For the Chinese, there’s a belief that the person that uses the wok for cooking masters the art of cooking in the kitchen. We can say that stir-frying method of cooking is simple yet complex. This book has over 100 recipes that will sizzle with the heat and deliver a rich flavor. History indicates that the Cantonese region is the great master in the stir-frying cooking. However today the method is spread across the board. With the 80 outstanding photos, you have the story of the Asian counters in a picture as well the artistic nature of the Chinese. Young minces no words rather she makes it easy for you to understand the cooking process. She doesn’t forget her people who crossed the sea to become immigrants to various other countries like Jamaica by featuring in the Chinese Jamaican jerk chicken fried rice. You will learn everything about stir-frying. She even gives you the skillet alternative to use in case you don’t have a wok. The book also shows you how to choose the best wok from a pool of woks and how to care for it. You will learn how to slice your meat and the importance of each ingredient among others. Of course, Jet Tila is a chef who although grew up in a Los Angels knows so much about the Asian cuisine. This is mostly because he grew up around the Chinese and Thai family. As a chef and a restaurant owner, he understands a lot in the world of Asian cooking. Reading his book brings you close to all the Asian community as he blends his education with years of practice. With this book, you will learn how to make your Asian meals taste better at home. With 101 recipes, you have every reason to eat like the Asians do without going to a take out. He gives you a method to enrich your food as well as the techniques implored. Go and buy it today to begin the cooking process. We all know the importance of meals that will please your palate but even as a beginner you shouldn’t eat bad food. Wei Chuan gives you the guide into the great meals that are simplified to ease the process. With this book, you can cook like a professional. The author uses photographs to make the step by step process of cooking easy to understand. Who else loves Cantonese cuisine as I do? Deborah just hit the nail on the head by creating this Cantonese style cookbook. She goes all into the cuisine and you can experience the passion and expertise of another rich cuisine. With the collection of 42 recipes, you will always delight your family and friends. What’s more, these meals are home-style meals that are written with easy to follow instructions. She further highlights some headnotes to make it easy to cook. the book gives you different preparation tips to make the cooking easy. Let this book guide you into making the authentic Cantonese cuisine that isn’t only delicious but also richly flavored. Dim sum is a Chinese signature. For easy portability, the book is made to fit in your pocket yet it carries a wealth of information. This cookbook features about 54 recipes that are succulent and rich. If you wish to know the culture that surrounds the famous dim sum dish, the utensils used in both the cooking and service of dim sum and the essential ingredients. It contains colorful pictures that will make you want to finish reading the book. You don’t have to go to the restaurants to enjoy the Chinese cuisine, you only need a good book to guide you. The moment you buy Vicky’s book you will bring all the best recipes home and no longer have to spend a dime. This is another legendary in the mastery of Chinese cooking. The book features a blend of various dishes that are today commonly used in the world. The book highlights not only the recipes but also the utensils you need to use for the different meals. You will notice that it gives you the different cooking methods and seasonings you need. You can get access to the vegetables you need for the cooking as well as the special ingredients that make all the difference in different meals. 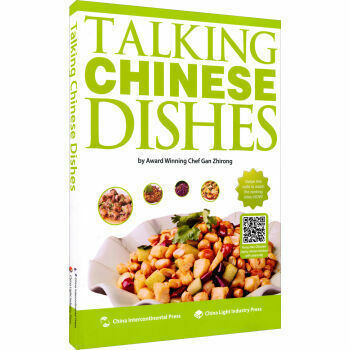 Chinese cooking is diverse and most people are still in awe at the different methods and recipes shown in this book. You will notice that some people refer you to the book and its for a reason, the author has mastered the secrets to Chinese cooking. This book is meant to enlighten you to the Taiwanese food. Although there are a few meals here and there that are known across the board and are authentically from Taiwan, there’s still more to learn about it. Taiwan has a rich culinary culture too just like China. Written by Cathy who is born of both the Taiwanese and American parents, she is knowledgeable in this area. She gives you up to 100 recipes that you can cook at home and those that you find in the streets of Taiwan. Cathy further mixes the exotic recipes with the common ones. She utilizes photography to captivate you into understanding the rich culture of the Taiwanese. You will want to flip through the book as you see the coastal sides of Taiwan, mountainous regions as well as the large cities. Take your time to read this book and you are sure to be a pro in cooking Taiwanese. The book that leaves out no region of China is this all under heaven cookbook. It takes time to examine the 35 cuisines of China and its written in English for all people to understand. She doesn’t use only her words rather draws her motivation from the ancient culinary texts that you find in an encyclopaedia. She then blends this knowledge with her years of experience in cooking, eating and working in Taiwan. You will find her book to be artistic and designed to bring you the flavors and goodness of the cuisine. The book like most other books discussed above has hundreds of recipes for you to try. This is your best handbook whether you be a novice cook or veteran chef. Last on the list is the mission book. This is written by the rising star chef and co-founder of the missions Chinese restaurants across America called Danny. The book is written to show you the beginning of the chain restaurant that would go on to win awards. Based on the meals prepared in the restaurant the book teaches you how to make the addictive meals that you find in their restaurants. You need to know the history of the meals for you to cook it right and that is what happens with this book. It teaches you based on the recipes modified by the young minds of the chefs in the missions restaurants. Do you love Asian cuisines specifically Chinese? With the list of the books above you should get going. Whether you want the healthy options, stir-fries or the history of the rich culinary skills, you have it all in the books. In fact, all the books have something unique to offer.